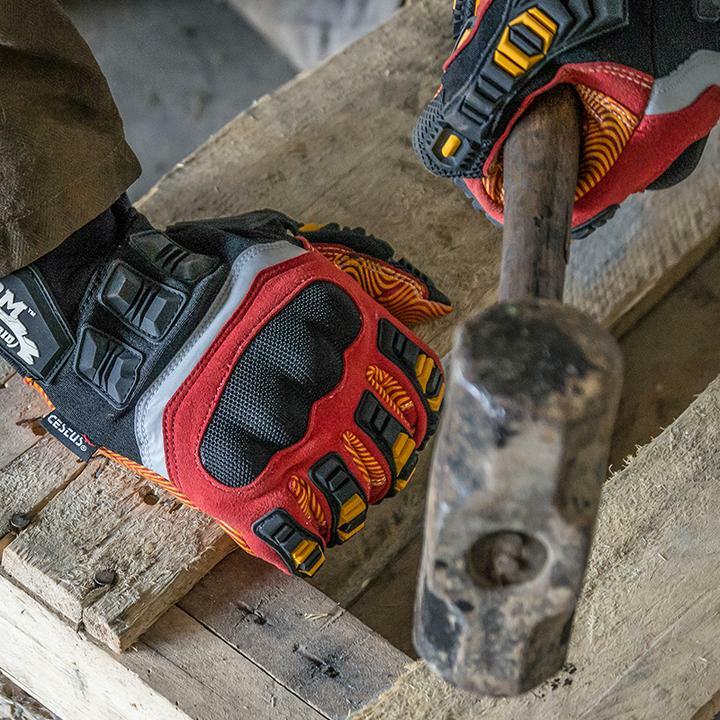 Heavy-duty protective gloves with a one-piece Ripple Grip palm that maximizes grip control, while Hexagonal Memory Gel padding in palm adds vibration absorption. 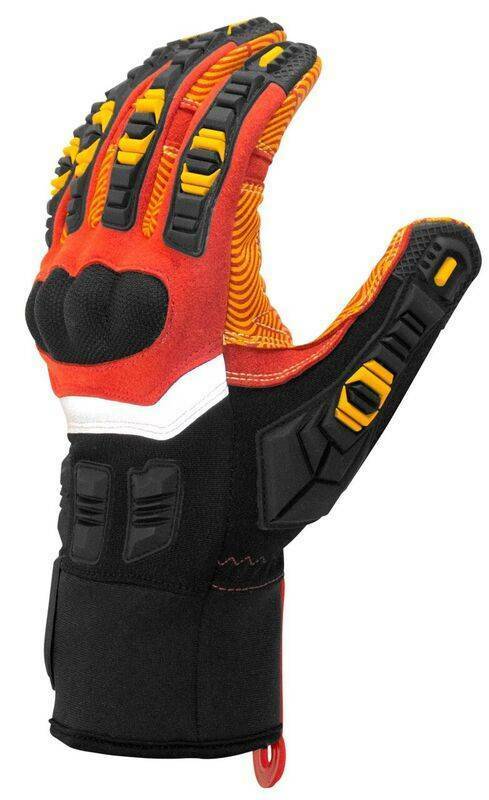 Segmented Thermo-Plastic Rubber on back of fingers and thumb, hand and wrist bone protect from impacts, as well as the hard-shell polycarbonate knuckles. One-Piece Enhanced Synthetic Leather: increases durability on back of fingers and hand. 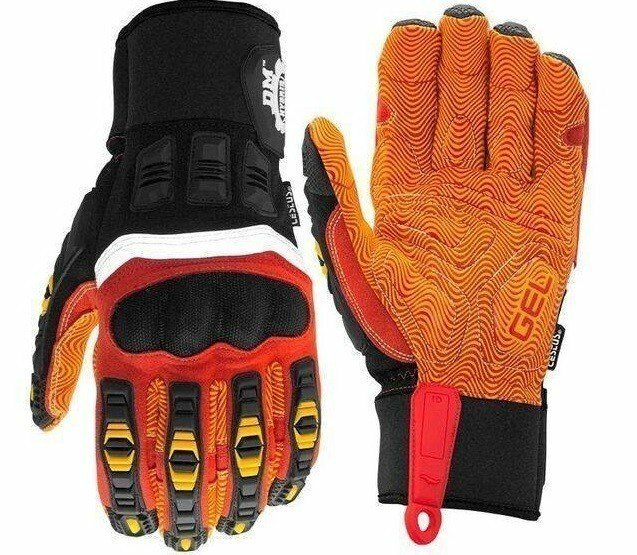 Segmented 3D Thermo-Plastic Rubber: adds impact protection for back of fingers, thumb, hand and wrist bone without sacrificing flexibility. 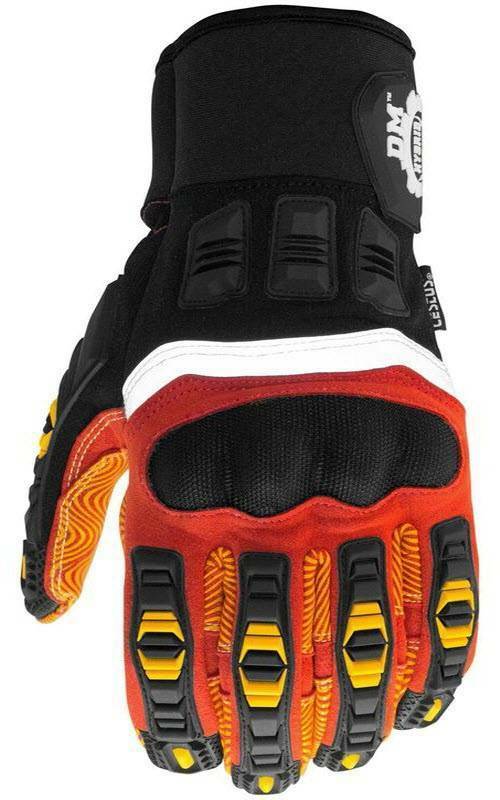 Hard-Shell Polycarbonate Knuckles: adds abrasion and impact protection to knuckles. Reinforced Saddle: adds durability and longevity in a high-wear area. 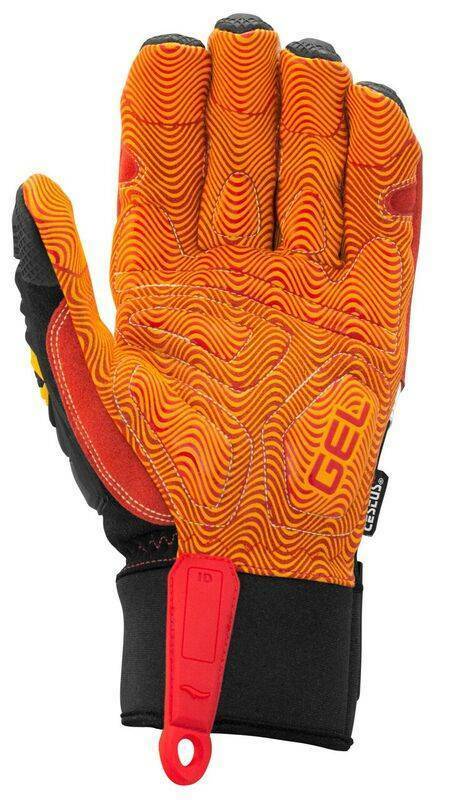 Kevlar Thread Palm Stitching: adds durability and longevity to palm of glove. High-Visibility Reflective Striping: adds hand visibility for low-light environments.